For those who consider themselves collectors, Stéphane’s idea of creating a series of products such as bottle openers with different Vespa designs has been brilliant. Talking to Stéphane we've been able to confirm first hand his passion for an atemporal symbol: the Vespa. Intrigued by the designs he sent us, we asked Stéphane to tell us a little more about the products created at Camaloon. 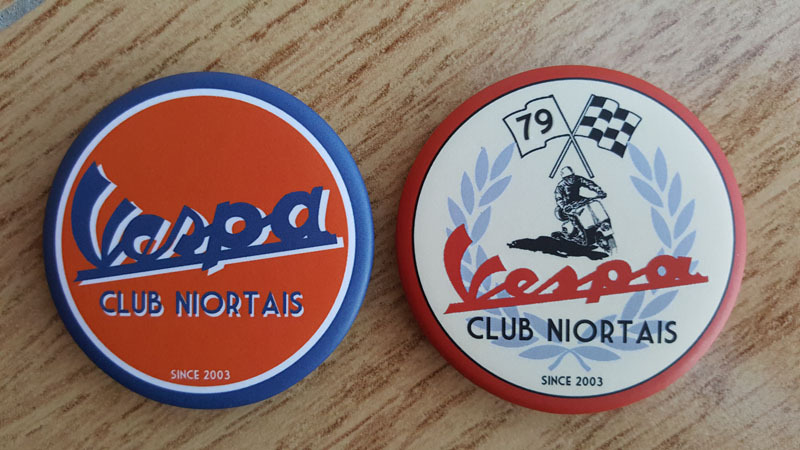 So, Stéphane, Chairman of the Niortais Vespa Club, has explained to us how and why he decided to customise bottle openers, magnets and stickers with the Vespa Club logo. Many of the Vespa fans consider themselves collectors, not just because they sometimes have more than one model of the legendary Piaggio motorcycle, but exactly because they consider the Vespa such a precious 1object that it is a collector's piece in itself. For those who consider themselves collectors, Stéphane’s idea of creating a series of products such as bottle openers with different designs has been brilliant. 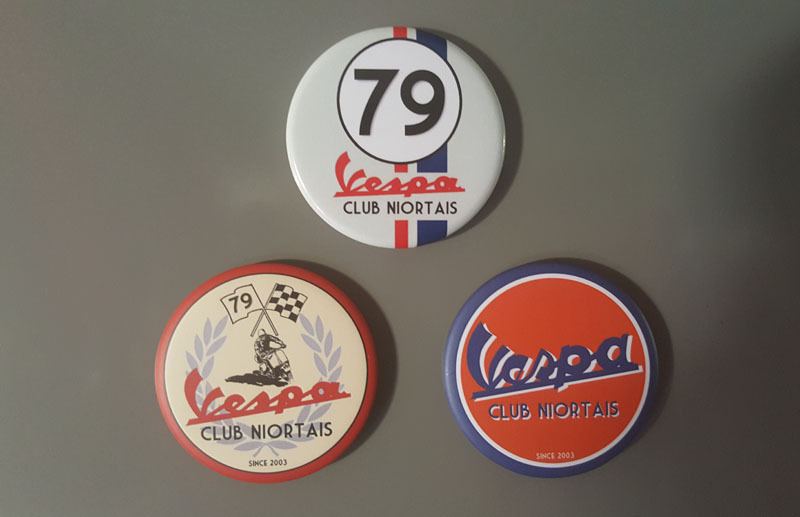 According to Stéphane “From a simple, decó and functional object such as a bottle opener with a magnet and selling it to members of the Vespa Club, you have manage to achieve the collection effect”. The first designs have already been printed and we hope to see a few more to complete the collection.